Do fathers spend more time with their children if they have boys? 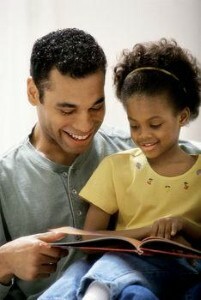 Home » Dad » Do fathers spend more time with their children if they have boys? Growing up, most of your friends were probably boys, so it makes sense that your son wants to spend time with the other men in his life – like his male peers and, of course, his father. But do dads tend to favor their sons? Will a father spend more time with his kids if he has boys? According a Journal of Family Psychology study cited by AllProDad.com, 41 percent of fathers with sons spend more time with their kids, while only 16 percent of dads who have daughters report an increase in family activity. Additionally, Kristin Mammen of Barnard College studied survey data and found that fathers of sons spend about 25 percent more time, or about 22 extra minutes, with their kids. But don't get too jealous, daughters – they spend it watching TV. Of course, dads and sons often have a lot of interests in common – like sports, trucks and fishing. As a father and a man, you may have more trouble relating to your daughter's love of tea parties and pink princess dresses, but that doesn't mean the two of you can't develop a loving, positive relationship. After all, lots of women were once daddy's little girl. Dads and daughters may have a different relationship than dads and their sons, but it's not any less special. You're the one your kids look to for guidance, love and understanding, no matter their gender.